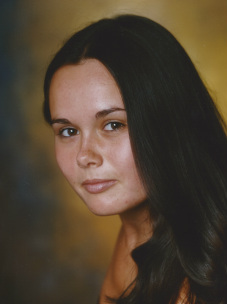 Anna has had a love for dance from a very early age and undertook professional training at SLP College, Leeds. Anna completed a three year Diploma in Musical Theatre (distinction) and I.S.T.D. teaching qualifications in Classical Ballet and Modern Theatre Dance. Following professional training Anna enjoyed a successful performing career. Before opening her own Academy Anna worked for Stagecoach as a dance and early stages teacher along with teaching and choreographing at a number of successful dance schools. She also visited a number of schools (primary and secondary) leading dance workshops. Anna aims to pass on her love and enthusiasm for dance to the pupils of the Academy, helping them develop and grow in a friendly, enjoyable environment. She is able to provide the teaching and support required for pupils who aspire to move into the dance profession but also understands that many are simply looking to enjoy classes as a hobby. Ballet classes are run in line with the I.S.T.D. (Imperial Society of Teachers of Dance) syllabus and provide the foundation of dance. Pupils learn basic technique and an understanding of co-ordination and musical interpretations within a classical genre. As the pupils progress through the grades they develop technical ability and an understanding of it's relationship to music. Modern classes are run in line with the I.S.T.D. (Imperial Society of Teachers of Dance) syllabus and offer a range of styles throughout. 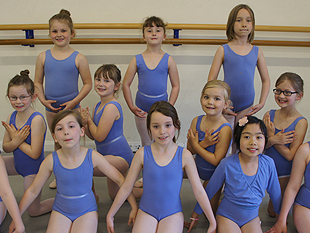 Pupils learn a combination of Jazz and Lyrical along with other dance styles and become versatile dancers. Younger grades are built around natural movements e.g. walking and jumping and are designed to work with the imagination. Tap classes are free and enjoyable, based around exciting rhythms and work on style and technique. Whilst the classes are free, pupils still learn set steps and timing. Pupils learn to explore exciting sounds and rhythms created by themselves. 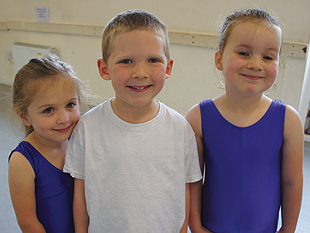 Jazz classes are based around enjoyment and fun! Pupils work on flexibility and strength and learn technical steps within dance. Routines are choreographed to pop music and the pupils learn how to adopt style and attitude within a performance. 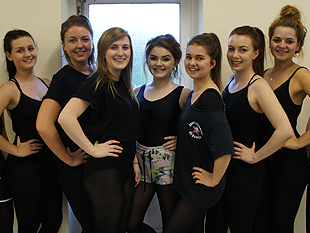 Musical Theatre classes are aimed at building confidence. Pupils work on performing dances and songs to tell a story, all combined with acting. Pupils get the chance to delve into some of the best known musicals of all time and create their own interpretations. All classes are suitable for both male and female pupils. ﻿Please note that the timetable is always subject to slight changes. All fees are payable monthly and invoices are issued at the start of the month, payment reserves the pupil's place for the coming month. If a pupil attends 4 or more classes they will be eligible for a 10% DISCOUNT.